Albeit that we try to market our productions as well as we can to maximise tickets sales, the reality is that it is increasingly important to fundraise between shows to enable further shows to be staged. It is very difficult to raise the revenue required from ticket sales and membership fees without pricing ourselves out of the market. Therefore we rely on various ways of fundraising to help us stay in ‘show business’! Do please read on below to find out different ways in which you can support us. Firstly a big thank you to Macleish, Littlestone, Cowan Solicitors for their continued support by way of annual sponsorship. We are always looking for people to sponsor us or aspects of our productions. Maybe you could sponsor a particular production by paying for / offering your businesses services for items such as the printing of the programme or flyers, donation of prizes for raffles etc. There are also opportunities to advertise with us. You could advertise on our website, in our programme, on the back of our flyer, all at very competitive prices. If you are interested email vicki@forestmusical.co.uk for further details. Honorary Membership enables you to provide support to us without having to be involved in the productions. For Honorary members the subscription is £20 per annum including priority booking forms for every production, discounted tickets on some productions, regular receipt of the Newsletter and invitation to the AGM yearly. Email val_mutch@hotmail.com for further details. Why not join the 100 Club? It is just £13 a year and for that you get allocated a number. The numbers are drawn 4 times and year and if your number is drawn you win a cash prize of £50, £75 or £100. You can pay in instalments or as one annual payment, or ideally by standing order (as it is so easy to forget to renew each year). Contact barbara.lazarus1@btinternet.com for details on how to join. We run two sales a year, one in the autumn and one in the spring. We raise money by charging the sellers commission on the items that they sell. Our sales are very popular and the sellers are able to clear out items they now longer use whilst making some money for themselves. It is important to register early as we sometimes have to have waiting list for places. The sale is organised so that different areas are set up to sell different items, e.g. rails for clothing divided into ages, a table for baby equipment, a table for puzzles, an area for large equipment like buggies, high chairs etc. etc.. This enables the buyers to aim straight for the items they are interested in and maximises the seller’s ability to sell their items. Each seller is provided with 50 labels and an option to purchase extra labels at 25p per extra 25 labels. Each seller then labels up their items and brings them on the morning of the sale and sets them up. They then return at the end to collect any leftover items. A cheque will then be sent to them with the commission deducted after the sale. 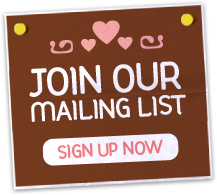 If you are interested in buying or selling do sign up to our mailing list on the homepage or contact NNS@forestmusical.co.uk if you have any questions. 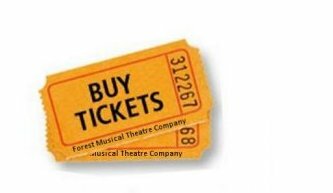 This is Forest Musical Theatre Company’s fundraising page. With limited ways of raising money, this is one way that you can help without spending any more money than you were already planning to! All you have to do is visit this website first and then from there click on the link to the website you want to shop on. If you visit your website of choice through this route a percentage of the money you spent will be paid directly to us. There is a great choice of retailers, from John Lewis to Amazon and a huge variety in between.